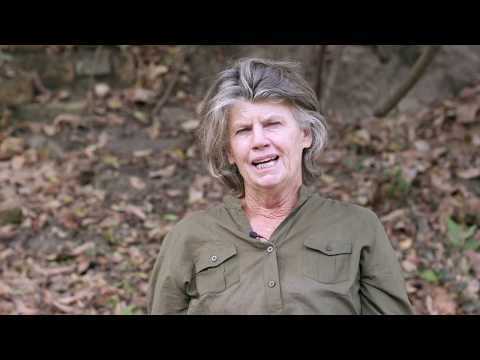 Interview With Indian Naturalist From The Tiger Trails Project! 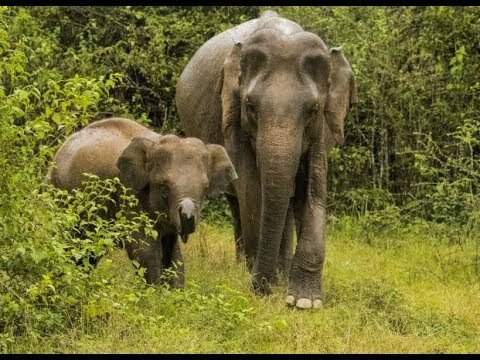 Surya Ramachandran is the new chief naturalist at the Singinawa Jungle Lodge in India and he has been kind enough to share his time with us and take part in an interview! Surya has led an incredibly interesting life, and now that he works at the lodge in which volunteers stay on the Indian Tiger Trails Project, we thought who better to tell us a little more about the natural world in India? To begin, we wanted to find out what drew Surya to the natural world in the first place. How did you come to get involved with the world of nature and eventually become a naturalist? I was always interested in sketching/painting wildlife, right from childhood, and my first trip to the zoo with my art teacher further solidified this interest. I visited Forsyth Lodge in the summer of 2012 as a guest with my mother. This visit changed everything that I wanted from life. I came as an unpaid intern and learnt the job, both from books and with the help of the fantastic team that operates there. After the end of my Internship I was called back by Hashim Tyabji, one of the then directors of Forsyths, he wanted to take me in on a permanent basis as a Naturalist. How did your visit to Forsyth lodge change your life? It was my first visit to a place which is not over exploited in the name of wildlife tourism, and also the only place where one can walk in the core area of the reserve. I met one of the directors of the lodge who is also a great naturalist, and also met the wonderful naturalist team of the lodge which helped me to understand the biodiversity of the Satpura. This first visit instilled a sense of responsibility towards the nature and wildlife and I decided to make career in this field so that I can get the chance to help and educate the others about wildlife. What is the most prominent natural experience you have had? Once I was walking with one of our regular guest in the national park, and after walking few minutes we heard a call resembling a wood saw. We were wondering from where the sound was coming from, when suddenly we heard the same call from behind us. I was sure that the call is of a mating pair of leopard so I was a bit cautious. Then we started searching and behind a small hill I found the pair of leopard just 10-15 meters from us. It was a wonderful sight to watch this secretive cat to mate in front of us. We watched the pair for almost half an hour. The outdoor life. Being a naturalist I love to be outdoors in the jungles and my job always gives me that opportunity. Another thing which I like most is to meet people and for this job I have to meet new faces almost every day and get the chance to interact with them and educate them on Indian Wildlife. We then wanted to find out what Surya’s opinion was on the problems facing India’s most famous big cat, the Tiger. In your experience, what are the biggest problems facing the tigers today? Lack of manpower to secure the tigers from poachers is a big problem. We have more than 50 designated tiger reserves in India, and in these reserves we have provided them space to breed and live but we are still worried about their security from the poachers. Our forest department does not have enough manpower to guard our remaining wild tiger population. Another big problem is the connectivity of corridors. These corridors are necessary for gene flow of the tigers in between the reserves to maintain genetic vigour. We have not given any protected area status to the corridors which is what needs to happen to prevent inbreeding and as a result illness. What would you say the best way to solve said problem is? We need to fill all the vacancies of forest guards quickly and arm them with the correct equipment to protect the tigers. For the corridors we need to give them the status of “protected areas” to provide proper protection of the floating population of the tiger and other wildlife. To finish up, we wanted to ask Surya how the volunteers that head out onto the Indian Tiger Trails Project help in the efforts to protect the tigers. What impact does volunteering have on the trips? How do the volunteers help conservation efforts? The volunteers meet and interact with kids and adults of local villages and when they say that they are here to help them conserve the wildlife of the region the villagers get impressed and feel proud on their natural resources which ultimately leads to them trying to save and conserve wildlife. Helping plant things in the community lands and painting conservation messages on school walls both have a great impact on the effort of wildlife conservation. The camera trap images which are installed by the volunteers help the forest department to monitor the movement of big cats and other keystone species too, so the volunteers on the project help to make a difference to the lives of the tigers living in India. We hope you have enjoyed hearing about Indian Wildlife from someone who deals with the delights and problems it throws up on a daily basis, but should you want to pay Surya and the tigers a visit then why not check out the Indian Tiger Trails Project and help to make your mark on tiger conservation. Conduct game drives and walking safaris in India's stunning Kanha National Park and see how human-animal conflict is resolved in the little visited Satpura National Park.